Hareline Marabou Strung Blood Quills are one of the most versatile fly tying feathers out there. These feathers add immemse amount of life and breathing action to any fly you tie. We primarily use this product for wooly buggers and other streamer tails, but it is a classic materials for damsels, nymph bodies, and a variety of other bugs as well. 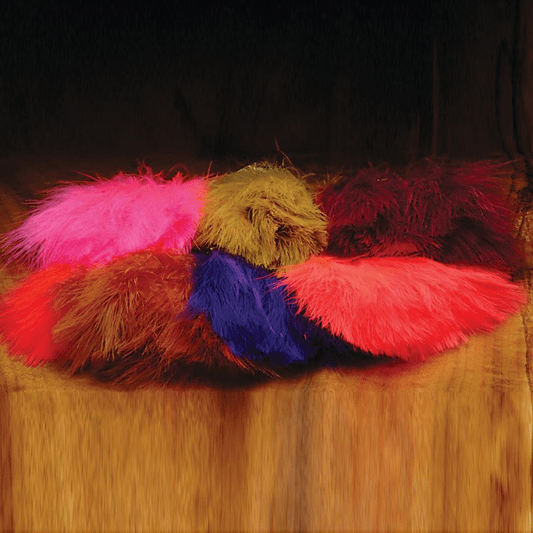 Available in tons of different colors, you can either purchase your Marabou Strung Blood Quills in a 1-ounce pack or a standard pack.